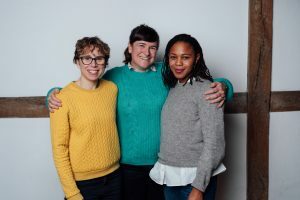 Following its sell-out run at Shakespeare’s Globe, Morgan Lloyd Malcolm’s new play Emilia, directed by Nicole Charles, transfers to London’s Vaudeville Theatre starring Clare Perkins, Saffron Coomber and Adelle Leonce. Emilia Bassano was a writer, teacher, poet and mother said to have been ‘The Dark Lady’ of Shakespeare’s sonnets and one of literature’s first female voices – yet her story has gone untold for centuries. In August 2017 The Globe’s artistic director, Michelle Terry, commissioned playwright Morgan Lloyd Malcolm to tell Emilia Bassano’s inspiring story and, when it premiered a year later, it proved a success. Michelle Terry, Morgan Lloyd Malcolm & Nicole Charles. Michelle Terry said: “We all knew Emilia had an important story to tell and we had to commit to telling it, but an audience decides whether it’s a story worth hearing. Writer, Morgan Lloyd Malcolm, added: “From the very start it’s felt like both a challenge and a privilege to tell this story. “There was something in the air throughout creating this. We could never have predicted the response we got. 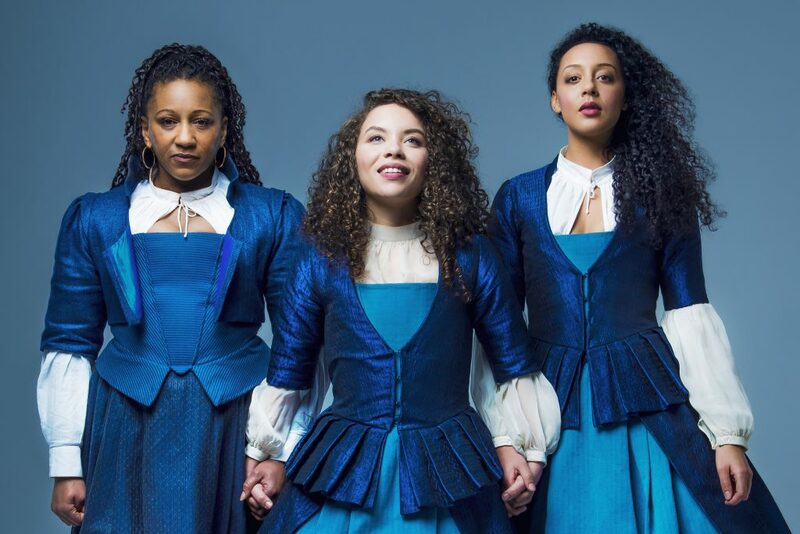 The role of Emilia is played at different stages of her life by three actors who are part of a 17-strong, all-female, company, which plays both sexes. The cast is led by Saffron Coomber, Clare Perkins and Adelle Leonce who play Emilia. They are joined by Nadia Albina, Anna Andresen, Jackie Clune, Jenni Maitland, Carolyn Pickles, Sarah Seggari, Sophie Stone, Charity Wakefield, Amanda Wilkin and Tanika Yearwood. Emilia runs at the Vaudeville Theatre from March 8 to June 15.